Is your hotel located near Lyceum Theatre? Get in touch now to be listed on this page. Strand Palace Hotel is an excellent choice for those looking for a hotel near the Lyceum Theatre, as it is situated just up the road on the Strand and less than minutes walk away from the theatre. 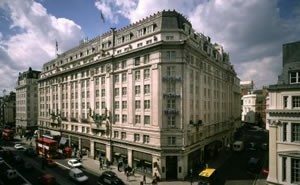 The hotel is one of the more affordable in central London and is a popular choice for tourists looking to explore the heart of London. The hotel has two bars, a restaurant and includes the standard facilities such as complimentary toiletries. Call 020 7379 4737 for reservations and further information. Reviewers on TripAdvisor have given Strand Palace Hotel 4 out of 5 stars. 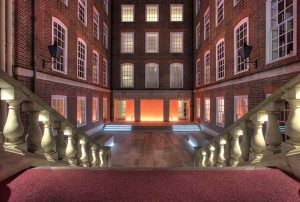 Having recently opened its doors in March 2012, Apex Temple Court Hotel is a new luxury hotel bringing further elegance to central London. With 184 rooms, the hotel is of moderate size but maximum comfort; complimentary services include WiFi, tea and coffee making facilities, Elemis toiletries and round the clock room services. Situated just off Fleet Street, the hotel is just a stones throw from the Lyceum Theatre, meaning you could walk there and back with no worries about missing the last bus or tube! Call 020 3004 4141 for reservations and further information. Reviewers on TripAdvisor have given the Apex Temple Court Hotel 4.5 out of 5 stars. 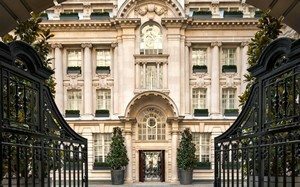 One of London’s most deluxe and exclusive hotels, Rosewood London in Holborn is just a ten minute walk away from the Lyceum. This hotel is for those who are looking to visit London in 5 star style. With facilities such as a spa-bath, pool, Jacuzzi, golf course, tennis court, a gym, both male and female hair and beauty salons, bars and restaurants, your every desire can be catered for at this truly magnificent hotel. Call 020 7781 8888 for reservations and further information. Reviewers on TripAdvisor have given Rosewood London 5 out of 5 stars.